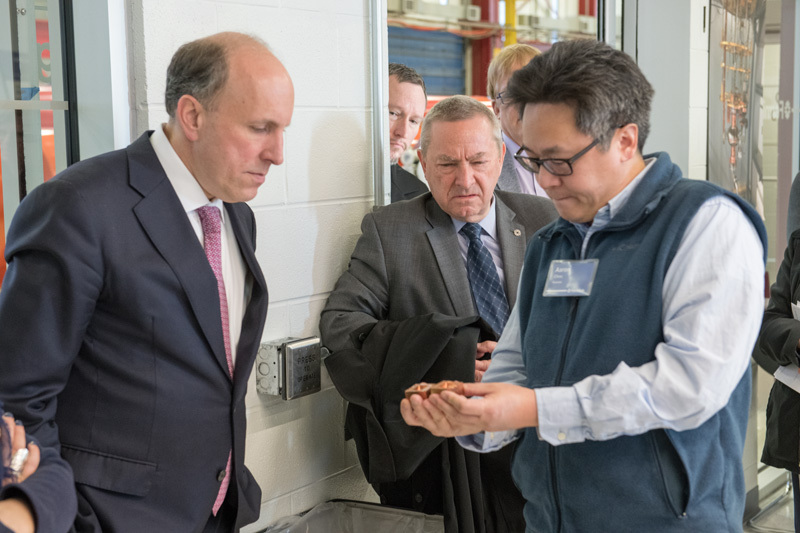 On Dec. 18, 2018, DOE Under Secretary for Science Paul Dabbar visited Fermilab. The main focus of the visit was Fermilab’s rapidly advancing quantum science and technology program. Fermilab’s quantum program includes a number of leading-edge research initiatives that build on the lab’s unique capabilities as the U.S. center for high-energy physics (HEP) and a leader in quantum physics research. We expect successful quantum applications to advance high-energy particle physics by enabling precision experiments and theoretical studies beyond what is currently possible. Dabbar toured Fermilab’s Quantum NETwork (FQNET), a photonics, optical-fiber based local quantum teleportation network, which is led by Caltech and was built and commissioned at Fermilab over the past 15 months. During Dabbar’s visit, FQNET scientists discussed the network’s current status and future goals, which include achieving high-fidelity teleportation between remote nodes within Fermilab and further expanding to distribute quantum information across tens of kilometers. FQNET is part of a long-term Caltech/AT&T research and development program on quantum science and technology, including quantum communications. The development and commissioning of state-of-the-art quantum devices needed for FQNET are conducted at Caltech’s Jet Propulsion Laboratory and Caltech laboratories. 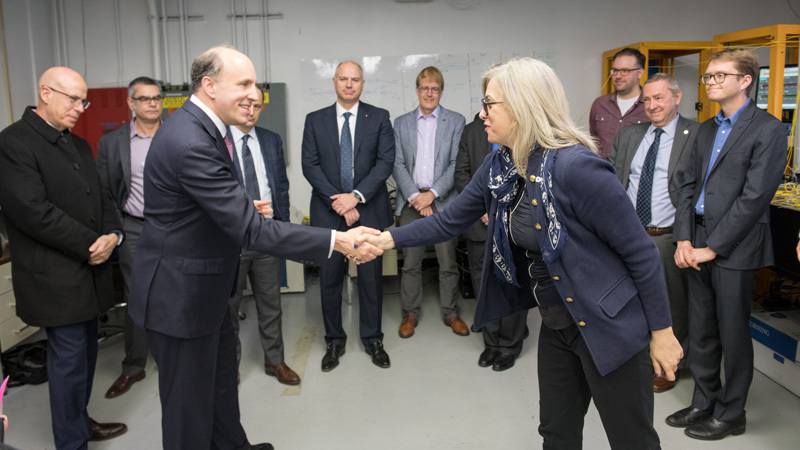 Dabbar also visited the superconducting radio-frequency (SRF) quantum laboratory, where Fermilab scientists develop SRF-based qubit technology and ultrasensitive sensors for the detection of dark matter and other exotic particles. The effort’s lead scientists discussed their research, including the recent accomplishment of increasing by a factor of 300 the length of time that superconducting devices can hold quantum information. The tour continued with an overview of the lab’s efforts to develop and apply quantum technology to increase the sensitivity of HEP experiments; develop quantum machine learning and optimization algorithms for HEP; and apply quantum information science approaches to advance applied quantum field theory. The Fermilab leads discussed with Dabbar the objectives of their research to advance HEP and quantum science, the strong interactions across Fermilab research activities, and emphasized the benefits of leveraging partnerships with academic institutions and industry. Dabbar’s visit included discussions on the status of the international Deep Underground Neutrino Experiment and its Long-Baseline Neutrino Facility and the related PIP-II accelerator project. Dabbar also met with Fermilab management and members of the DOE Fermi Site Office. Tour attendees included AT&T Communications CEO John Donovan and Jet Propulsion Laboratory Deputy Director Lieutenant General Larry James. Panagiotis Spentzouris is the Fermilab head of quantum science.